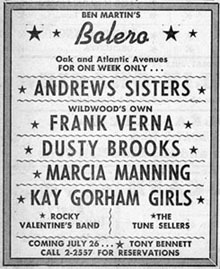 It's no secret that at one time Wildwood, New Jersey played host to many first rate entertainers and musicians and in fact many truly believe this seaside resort joins Memphis, Tennessee and Cleveland, Ohio in playing a part in the birth of rock and roll and in some regard this is true. 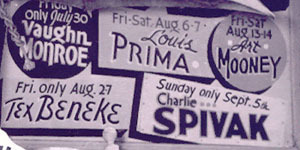 Many of the biggest names in music played Wildwood. 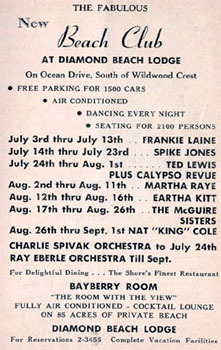 From the big band and swing era to the rockin' and rollin' 50's, 60's and 70's Wildwood was hoppin'. 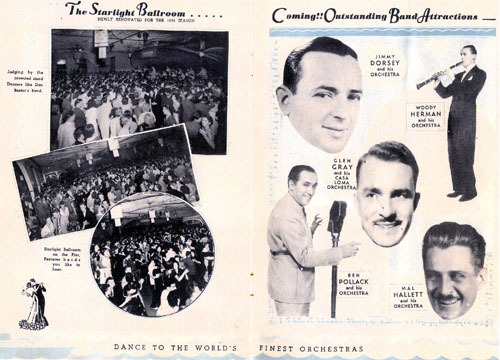 In the years that followed WWII places like Hunt's Starlight Ballroom and Convention Hall featured the hottest names in Big Bands. 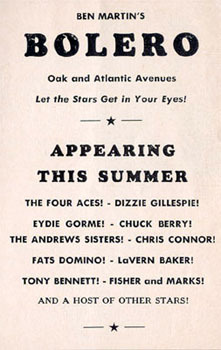 Through the 1940's and 50's you could see performances by Woody Herman, Charlie Spivak, Louie Prima, Count Basie and Vaughn Monroe just to name a few. 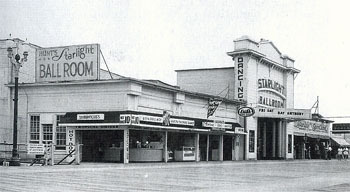 In the fifties Wildwood was known as "Little Las Vegas" and "Playground of the Stars" for the wide variety of entertainment offered. 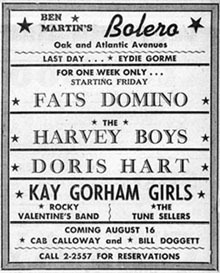 Many performers have said they launched their careers playing the Wildwoods. 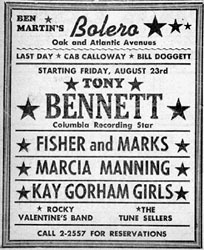 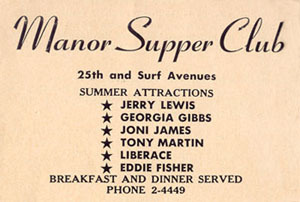 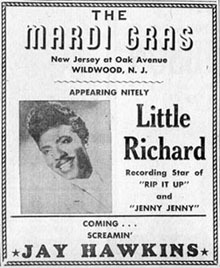 In nightclubs like the Riptide, the Surf Club, the Bolero and the Manor Supper Club you could see entertainers such as Tony Bennett, Bobby Rydell, Diana Ross and the Supremes, Little Richard, and Chubby Checker who made his debut at the Rainbow Club in Wildwood and started an international dance craze with his signature hit "the Twist".